Maximising your time off is something of an art form, requiring tactical thinking, some strategic sweet talking to HR and probably an innocent smile on your face when your boss finally signs off on it. However, by taking advantage of the freakishly advantageous way next year’s bank holidays fall and shot-gunning some key dates early, it’s actually possible to supersize your annual leave in 2019, turning the standard 25 days holiday into a whopping 55 days of holiday, not to mention opening the door to some incredible adventures. Take 8 days annual leave around the Easter bank holidays and get 16 consecutive days off work. Take 4 days annual leave after the early May bank holiday and get 9 consecutive days off work. Take 4 days annual leave after the late May bank holiday and get 9 consecutive days off work. 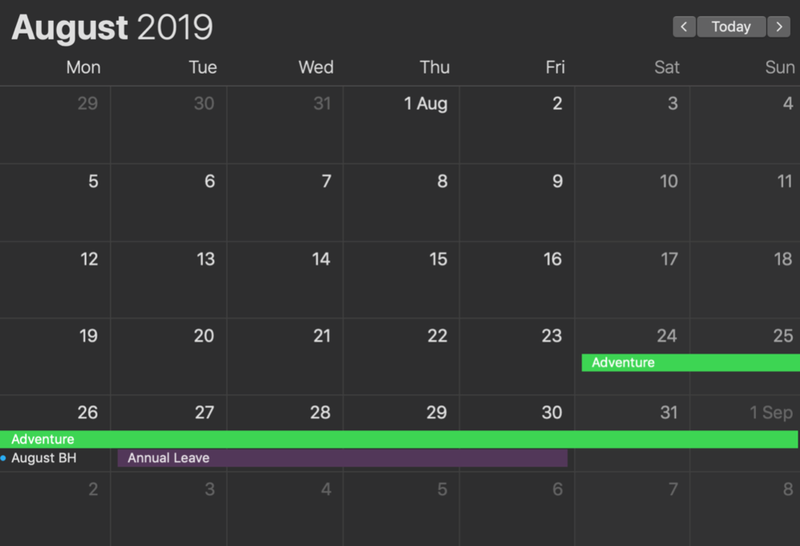 Take 4 days annual leave after the August bank holiday and get 9 days off work. Take 5 days annual leave around the Christmas holidays and get 12 days off work. Days to book off work: Monday 23th December – Tuesday 24th December, then Friday 27th, Monday 30th & Tuesday 31st. Or you could just stay in the pub and watch as your work colleagues make the most of their time off. However, if its adventure you’re after, discover our hand-crafted trips.